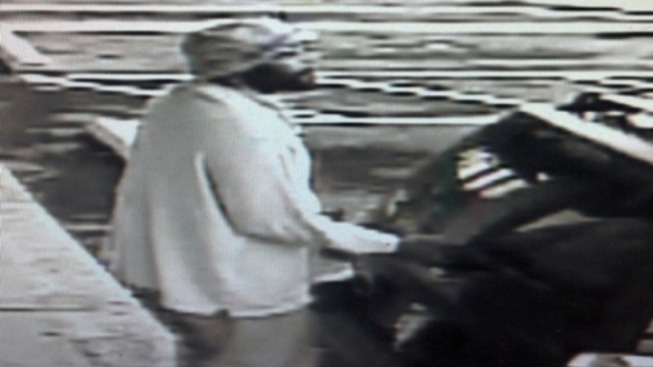 Man Sought for Multiple Burglaries in Prince George's Co.
A man is being sought by the Prince George’s County police in connection with several burglaries in Beltsville and College Park which took place between Friday and Sunday. The man is black, approximately 6-feet-3-inches tall and about 250 pounds. He was last seen driving away from one of the burglaries in an earlier model Ford Escape as seen in the picture below. He was wearing a white long-sleeved shirt, light-colored pants and a tan hat. The Prince George’s county Police Department are offering a cash reward for information on the man’s identity and whereabouts. If you have information, please call the Prince George’s County Police Department’s Regional Investigative Division at 301-699-2601 or text “PGPD plus your crime tip” to CRIMES (274637). You may also submit a tip online at pgcrimesolvers.com.